Tunis, where the new Galileo Euro-Med Cooperation Office (GEMCO) will open in October. A European-Union funded consortium invites companies and public agencies from Mediterranean countries in North Africa and the Middle East to submit ideas for extending Galileo GNSS and EGNOS use in the region. Eligible ideas could be for a small pilot project or research study, a technical training plan, and/or a publication or article. The submission deadline is August 25, 2013. The countries in the target area are Algeria, Egypt, Israel, Jordan, Lebanon, Libya, Morocco, Palestine, Syria, and Tunisia. Three experts from the European Commission and private industry will evaluate the ideas and they could become part of a new incubator for GNSS infrastructure development and regional support, whose office is scheduled to open in Tunis this October. The sponsoring project, MEDUSA, stands for Mediterranean follow up for EGNOS adoption. It is led by Rome-based Telespazio, a space services company. 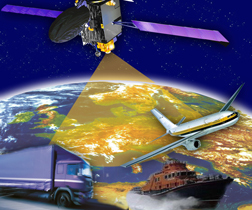 MEDUSA is part of EuroMed GNSS Framework Program, which is funded by the European Commission.